How Often Does A Truck Scale Have To Be Calibrated? Spring is a great time to perform some general maintenance on your truck scale. A popular question we hear from folks is how often does a truck scale have to be tested, adjusted, and/or calibrated? Also, what factors can influence how often scales should be calibrated? The general consensus is normal routine scale calibration is often determined by state requirements and the scale owner’s quality assurance standards which sometimes might be something as simple as comparing truck weights with a nearby truck scale owner. Many states require the truck scale to be tested and adjusted at least once per year. Furthermore, several states call for calibration to be carried out by way of the State Weights and Measures Department or utilize certified scale service organizations to carry out routine calibration. Of course, state certified test weights are needed for appropriate calibration accuracy. As for the question of how often do you need to calibrate your scale, it’s usually a good idea to do this at least two or three times a year. Number of truck weighments per day and also the age of the scale add to how frequently a truck scale needs to be adjusted. 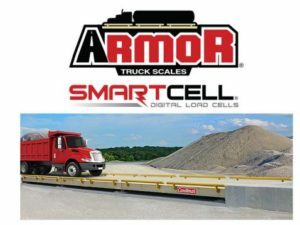 In most cases you should try to work with a scale company that sells and services truck scales. 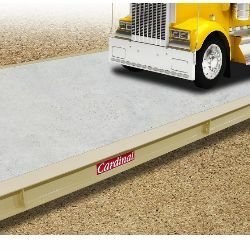 The company should also have a test truck with certified test weights and a portable weight cart which will allow the scale company to drive the cart around the scale and position the weights in certain places on the scale deck to find little errors that might not be found with just test weights. Initially, service trips and calibration charges might seem expensive but in many cases the savings a company will enjoy far outweighs the service fees. If a scale is tested and is off just a couple of graduations, that could be over 40 pounds of material you’re losing for each truck that drives over the scale. That could be pretty expensive as well.